This letter is unsigned, has no accompanying envelope, and provides no specific unit information to aid in the identification of the author. However the content tells us he served with the Engineers and a reference to the North River suggests that he was either from or lived in New York City before the war. This led me to speculate that the author served in the 15th New York Engineers since most of it members were recruited from New York City and Brooklyn during the late summer of 1861 and were put to work bolstering the defenses of Washington and building pontoon bridges over the Potomac River in the spring of 1862. Digging further, I noticed that though he addressed the letter to his mother, he suggested to someone named “John” that he get out of Ramapo (Rockland County, New York). My hunch was that John was a relative of the author so I searched military records for a “John” from Ramapo and found a John H. Westervelt who enlisted in September 1862 in Co. H, 1st New York Engineers. He gave Ramapo as his residence. Encouraged, I went back to check the roster of the 15th New York Engineers to look for a Westervelt and — what do you know — I found a William H. Westervelt, who enlisted in New York City on 17 June 1861 at age 20, to serve two years in Co. E, 15th New York Engineers! Digging still further, I found that the US Army Heritage & Education Center in Carlisle, Pennsylvania, had a post war photograph of Pvt. William Henry Westervelt (1842-1890) of the 15th New York Engineers with his wife which was claimed to be Mary Kendrick (1848-19xx). Using this additional bit of information, I found that William Henry Westervelt was the son of Peter B. Westervelt (b. 1810) — a gunmaker in New York City. In 1870, William and his wife Mary were residing in New York City where William was employed as a clerk. They had two young children named Mary (4) and Peter (2). Sometime previous to this date, it appears that William had been employed as a police officer in New York City until he had been fired for graft. 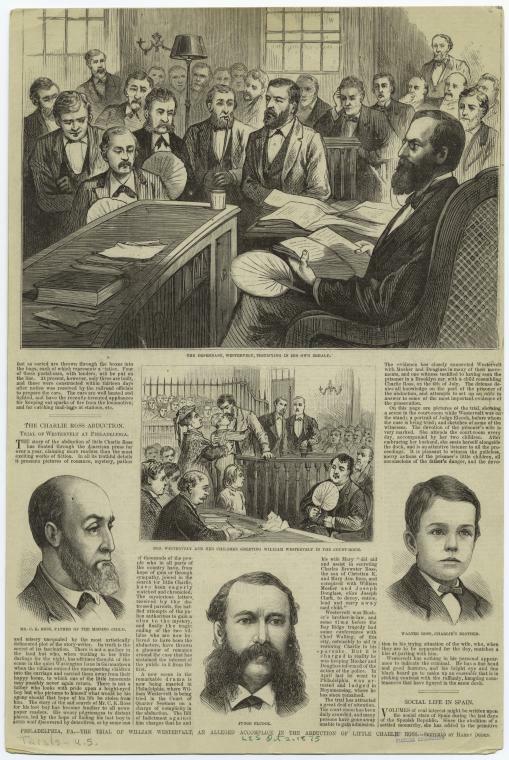 In 1874, the Westervelt’s moved to Philadelphia where, sadly in 1875, William was implicated in the first child abduction case in US history. He and his wife Mary were convicted on charges that they “did aid and assist in secreting Charles Brewster Ross, the son of Christian K. and Mary Ann Ross, and also conspired with William Mosher and Joseph Douglass, alias Joseph Clark, to decoy, entice, lead and carry away said child.” William subsequently served six years in prison for the crime. See: The Story Behind the First Ransom Note in American History. So was this letter written by William Henry Westervelt? Maybe. Maybe not. You be the judge. I embrace this opportunity to inform you that yours of 10th came duly to hand yesterday. It finds us well with the exception of being a little fatigued after our journey in Dixie Land. 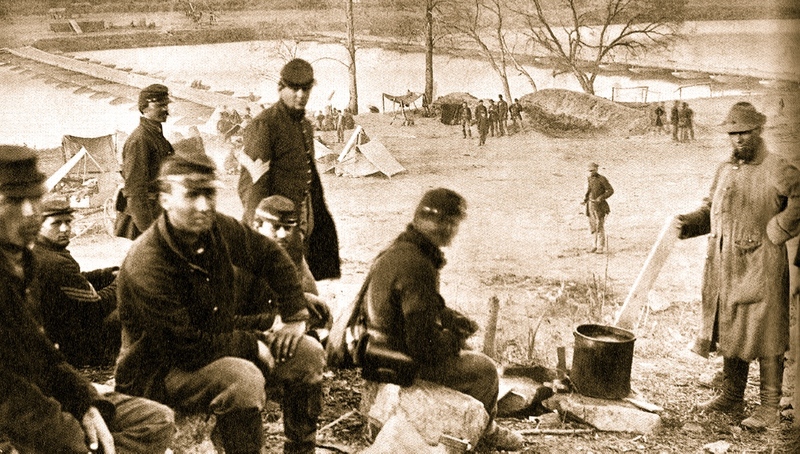 We started last Monday morning for Manassas one hundred and fifty thousand strong to revenge our defeat of Bull Run on the same ground, but we ere sadly disappointed for the rebels evacuated their boasted stronghold. According to the head generals request, we laid Engineering aside and went in the field as infantry. We all was eager for fight so as to win laurels on the field of fame and for our country’s benefit, but we was deceived again, as usual, and had to return to quarters again without firing a gun. Tomorrow morning we start again down the Potomac to throw out another bridge. Tell the old Tar — as he calls himself — that I saw on my last expedition fields of corn and stacks of wheat that had never been gathered. A large number of the Secesh’s cattle fell victims to our appetites. I saw some of the handsomest landscapes in Virginia that I ever saw — especially around the vicinity of Fairfax Court House. Tell the old man I should like to see him and have an old-fashioned talk but I expect I shall not have that privilege until the rebellion is crushed for we have to engineer for all the divisions of the Potomac, which amounts to about five or six hundred thousand men. So we have to go to different places which suits me to a fraction. It looks old-fashioned to see the Mattamorra [Metamora] of the North River pass our door daily. There is a large fleet lay moored at the dock and other places. Some carry soldiers and others is loaded with our bridge. John get out of Ramapo if you have to live in a tent for I think you never was born to labor in that hole. Get someplace near the old place as possible. I shall be around again soon and then I want to have things arranged so that you and Mother will not have to work so hard as heretofore.